This one is really on sale: Heart Rate Watch List Price: $149.99 - Today's Price: 80% off at $29.99 & ships for FREE with Super Saver Shipping. 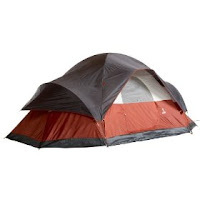 Just in time to get those last camping trips in...Coleman Red Canyon 17-Foot by 10-Foot 8-Person Modified Dome Tent List Price: $145 - Today's Price: 38% off at $89.37 & ships for FREE with Super Saver Shipping. For those yummy big breakfasts on the weekends! Presto Professional 22-Inch Jumbo Electric Griddle Price: $49.99 - Today's Price: 32% off at $33.99 & ships for FREE with Super Saver Shipping. Ahhhh Fall is coming! Time to snuggle up in a nice warm comfy blanket! Pinzon Down Blanket Price: $100 - Today's Price: 66% off at $33.99 & ships for FREE with Super Saver Shipping. Velvet Sheets??? OK, YUM! Pinzon Velvet Flannel Sheet Set - Queen Price: $150 - Today's Price: 67% off at $49.99 & ships for FREE with Super Saver Shipping. Also available in King. Fry me up some turkey! 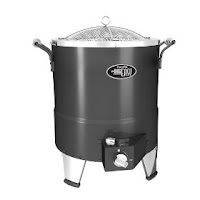 Char-Broil The Big Easy Oil-Less Infrared Turkey Fryer Price: $189.99 - Today's Price: 50% off at $94.99 & ships for FREE with Super Saver Shipping. We all know I love this one...Rival 3060-W 6-Quart Round CrockPot Slow Cooker Price: $69.99 - Today's Price: 59% off at $28.99 & ships for FREE with Super Saver Shipping. I've been lurking your blog for a long time and never commented. Just thought I'd pop in to say you're doing a wonderful job. I'm quite addicted! GREAT tent! The hubby and I were just talking with the kids about how we need a new tent. Just may get this one. Thanks! Ohhhh I love the turkey fryer! We use ours every year! I'm with you on the velvet sheets...YUUUMMMMMMM!!! Hi Melody! I'm so glad you stopped by today! I sure love a bargain so I will be back for sure! I am always on the hunt for a way to save some pennies! Your blog is great! I need the heart rate watch for when I read your blog! Ha! Ha! I see "sale!" "sale!" and I get all crazy. :o) I'll have to tell my honey about the watch. That is a FAB deal! Have a wonderful weekend! LOVE this! What great deals! That recipe from yesterday sounds really good. I'm always looking for new dishes. I'll have to try it. So glad you stopped by my blog for a visit! And thank you for the sweet comments on my country french toile office/studio makeover! Please stop back by and enter. It's so nice to meet you! I love your blog! Hi! Oh I am so glad you visited my blog becaue I LUV your blog! Will be adding the button too! Please stop by anytime.